BenQ has launched its first self-branded line of camcorders in Australia. 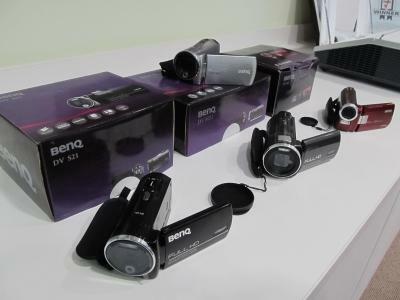 BenQ wants to break into the Australian camcorder market with its first self-branded range of digital video cameras. Having been a camcorder original equipment manufacturer (OEM) for a number of years, the vendor became confident enough to start its own range. The product line was released abroad mid-last year but this will be the first time the camcorders hit our shores. According to BenQsales and marketing manager, Simon Liu, they have been doing well. He claimed the company is selling 20,000 camcorders per month in Indonesia. The vendor is eager to replicate this success locally. BenQ does not strive to compete in the high-end camcorder space but rather in the Tier 2 level with a focus on selling a “stylish, tiny and affordable” product. The vendor claimed the devices will retail for under $300. The first in the range, BenQ DV M1, has been stocked by smaller retailers such as Leading Edge and Retrovision for several weeks and is currently being distributed by Ingram Micro. Liu said BenQ is in talks with Multimedia Technology to become its second distributor. Synnex, the vendor’s current distributor for computing products, will not have access to the camcorders. The next stage, according to Liu, is to sell into Officeworks, SMBs, SOHOs and eventually JB Hi-Fi. BenQ will rollout the rest of its camcorder range next month. Liu pointed out one of the camcorders will be equipped with 3D recording capability in the next six to eight months.